Results may vary, depending on your particular facts and circumstances. 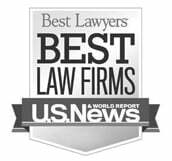 Designated as a 2006 Rising Star and listed as a Super Lawyer in 2012 – 2019 (8th-consecutive year listed in Super Lawyers) in the fields of personal injury & medical malpractice. 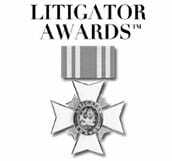 Click here for Super Lawyers selection process information. Click here to view Mr. Zenna’s Avvo Profile/Rating and click here to view the AVVO rating process. 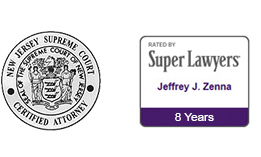 Jeffrey J. Zenna is an experienced plaintiff’s personal injury lawyer who joined the firm in 1995. As a New Jersey Supreme Court Certified Civil Trial Attorney, Jeff handles automobile accident, premises liability, product liability, construction accident, and both medical and legal malpractice cases. Jeffrey Zenna, a Certified Trial Attorney, has made numerous significant recoveries for the firm’s clients in both settlements and jury verdicts, including multiple settlements in excess of $1 million. In 2009, Jeffrey settled a case surrounding a motor vehicle accident involving an Iraq war veteran for more than $4 million. Of particular and unusual note was Jeffrey Zenna’s representation of a client who sustained an injury when she fell at a movie theater. After settlement of the case, the defense made a motion to reopen it, claiming that our client had committed insurance fraud and had in fact fallen at a location other than the theater. The Court allowed the case to be reopened and, after approximately three years of additional discovery, the case went to trial with regard to the referenced “fraud” issue. After an eight-day trial before a Morris County Judge, Jeff Zenna prevailed on behalf of our client and the settlement was reinstated. In addition, because of Jeff’s efforts, the possibility that criminal fraud charges might have been filed against our client was eliminated and the State of New Jersey, which had opened an investigation into the purported fraud, closed their case. Jeffrey also secured a $300,000 settlement for a client in a product liability case involving an accident caused by a defective deer tree stand. Jeffrey is a graduate of the City University New York School of Law (J.D., 1991). After law school, he completed a Judicial Clerkship for the Honorable Mahlon Fast, J.S.C. Since joining Blume Forte, he has received a Master of Laws Degree at New York University School of Law (L.L.M., 1997). Jeffrey is a member of the Essex County Bar Association, the Hudson County Bar Association, the Morris County Bar Association, and the New York State Bar Association. He is also admitted to the U.S. Court of Appeals (3rd Circuit) and the United States Supreme Court. As a member of the Association of Trial Lawyers of America, he has lectured with regard to trial advocacy. In 2010, he lectured for the New Jersey Association for Justice regarding the use of Rebuttal Testimony. 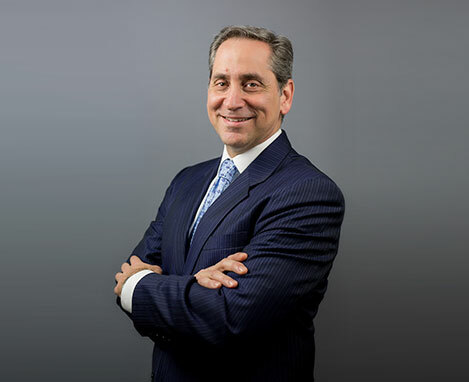 In 2016, he gave a lecture for the New Jersey Institute for Continuing Legal Education (NJICLE) entitled “Avoiding Legal Malpractice.” Additionally, Jeff is a member of the American Board of Trial Attorneys (ABOTA), the Trial Attorneys of New Jersey, and the Worrall F. Mountain Inn of Court. Jeff is also a longstanding member of the New Jersey chapter of The Miami Project, dedicated to the cure of paralysis. He was recently approved in 2017 to sit on the State Supreme Court’s 10B Ethics Committee for Morris County for a four-year term.